Gem stones are stunning products of the natural world, so it’s enticing to want to explore gem stones beyond their applications in jewelry. Many science experiments with gem stones focus on their observable physical properties and how gem stones react to light, heat and even radiation. Gemologists and jewelers use these experiments to characterize and identify gem stones. Color is one major method for experts to identify gem stones. Some stones, such as garnet, never occur in blue, so you can use the process of elimination to narrow down a list of possibilities. In addition to the basic color you see, you can describe gem stones in terms of the saturation, or the intensity of their hue, or the lightness or darkness of their color. Some gem stones have particular optical phenomena specific to their mineral species -- opal, for example, has a distinctive look of speckles and a play of color. Gem stones also have a certain level of transparency, or the amount of light that passes through the stone, which aids in their identification. 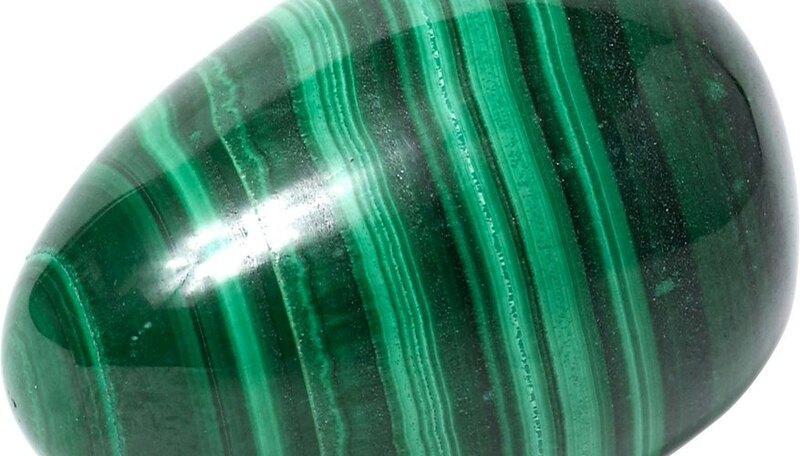 While most gem stones are transparent, they can also be semi-transparent or opaque. When you shine a focused light on a gem stone, it will show transparency if most of the light goes through it; if no light shines through, the gem stone is opaque. Another popular way to identify gem stones is through hardness tests, also called scratch tests. Hardness is measured by the Mohs Scale of Hardness created in 1812 by mineralogist Friedrich Mohs. These experiments involve scratching one gem stone with another of known hardness. When you see one stone scratch the surface of another mineral of a hardness of 5.0, you know the first stone has a hardness above 5.0. Repeated scratch tests with other known minerals will help you narrow down the exact hardness of the stone you are testing. Some jewelers treat gem stones to change their color or to make lower-grade stones look more appealing. Two common forms of gemstone treatments are heat and irradiation. You might know aquamarine as a blue stone, but it is naturally a combination of yellow and blue iron impurities, which makes it green. Heating these stones eliminates the yellow, so you end up with a blue stone. Heat treatments take place in kilns at temperatures between 200 and 2000 degrees Celsius. Irradiation refers to the use of electromagnetic radiation to alter a gem stone’s color. Brown or yellow diamonds can be irradiated into green, blue, pink or brown hues, and pink tourmaline becomes red after irradiation. Jewelers and gemologists examine heat and irradiation treatments to observe the effect of temperature on a gem’s color. Some gem stones have electric or magnetic abilities; since these capabilities are not the norm, discovering a gem stone that has these properties aids greatly with identification. Electroconductivity, or the ability to conduct electricity, is common for metallic minerals like gold or silver, but most gem stones don’t have this ability. The exception is the blue diamond, which is able to conduct electricity. Other gems, such as hematite, have very weak but present magnetic properties. Batema, Cara. "Science Experiments With Gem Stones." Sciencing, https://sciencing.com/science-experiments-gem-stones-13454.html. 25 April 2017.